Visual stethoscope is a new hi-tech clinic medical instrument by introducing the micro IT technology. It has the stethoscope function and ECG signal monitor function. 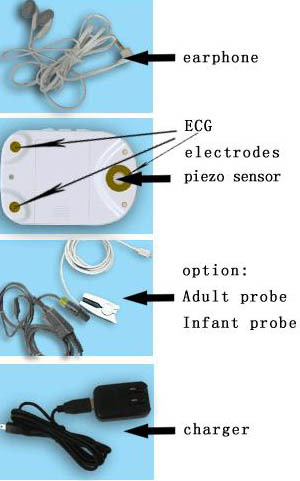 It can display the heart rate and the ECG wave directly through the LCD when stethoscoping the heart.